Gritty and visceral. NonHuman Films’ Rebirth is a new web series that will beg for your attention. Pulling out all the cliche stops, and whatever else comes with AfterEffects templates, the prologue and episode I attempt to draw you in; and they are quite successful. The problem is that it is such a train wreck that you cannot look away. Complete with a highly ambiguous plot, choppy editing, and color temps and audio all over the spectrum, Rebirth needs to die and try to come back again another day. 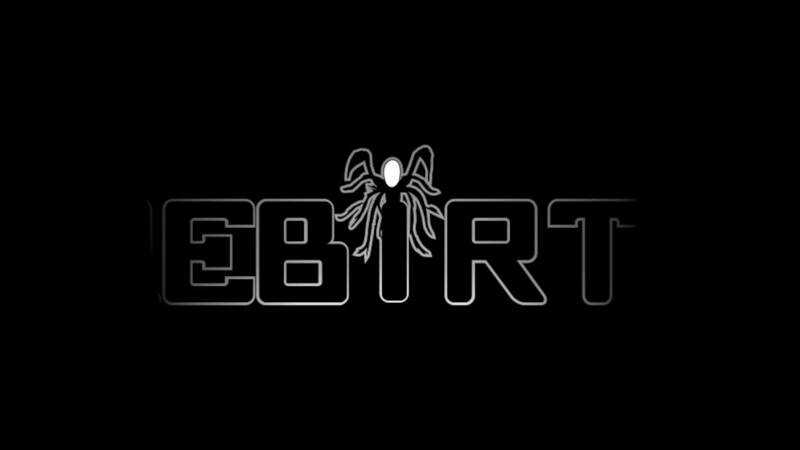 Adapted from the original series Jacob, Rebirth is inspired by CreepyPasta and other urban myths. Mostly shot in the POV style, the majority of the cinematography is stylistic. However, not every style needs to leave the think tank at the fashion studio. YouTube and Vimeo present fantastic opportunities for aspiring professional visual storytellers to get films in front of people without having to rely on a distribution company; but because of this wide open door, there is a lot more mediocre content to sort through while searching for that movie with which to fill your weekday evening. Structurally, the video suffers greatly. A traditional web series should be divided up into short segments that all tie together in an over-arching story. It should not come across as a short film that has been divided up simply by cutting the segments out of the main timeline. Unfortunately, the Prologue and Episode I come across as the latter. It is important for each web series video to follow the three-act structure while the whole series also follows the same. The dialog lacks development much in the same way the characters do. As videos (or film) are a visual medium, it is important for writers to “show, don’t tell;” and the perpetual narration serves as a distraction and occasionally comes across as redundant. For a sloppily produced web series, I’ll give it this: the editing stye is creative. I’m not claiming that it’s edited well by any means; but I can definitely infer the direction the editor was going. It’s sloppy and crude, but there is definitely potential there for horror film editing. It is not unusual for a series to have a weak opening, although it is perhaps the episode that is the most important to hook the audience, as many will not progress past the first episode. That was certainly the case for me when I watched the then-anticipated Scream Queens on Fox. After the first episode was so painful to watch, I never gave it a second chance. Since web series don’t have near the money or publicity behind them, they more often than not have a difficult time hooking an audience. So, when I was invited as a member of the blogosphere to an early screening of Episode I part II, I went in with an open mind because perhaps it was walking out of the starting gate instead of sprinting. Unfortunately, I am left wondering what happened even after watching it twice. Due to the POV style of shooting and the disorienting music, I had great difficulty in following the story. However, it is certainly macabre and creepy. In many ways, it kind of reminds me of the previews for the Green Room horror movie featuring the accomplished Patrick Stewart, of all people. I cannot help but conclude that NonHuman Films does, albeit a moderately long shot, have a future in horror filmmaking. Just because a series is crudely produced, doesn’t mean that it is devoid of potential. I see the potential, but the company needs to spend more time developing the narrative and polishing the post-production elements. Perhaps this cult series will find an audience, as so many online video do; but, it will not likely become material picked up by YouTube Red or other outlets for professional online distribution–not in its present form. This is one of those series that clearly has some budding talent behind it; but the leadership of the film series needs to regroup and identify methods to correct the presentation and storytelling.